Our first day in Iceland was full (read about our first day HERE), but we weren't about to miss a beat for our second day exploring this beautiful and mystical country. I could say that this day was my favorite, but really, I'll say that about each day. Iceland is just magical, full of adventure, romantic, and absolutely picturesque. Day 2 we woke up and hit the road to the black sand beaches of Vik. Day 2 will take a couple posts to share, because yet again, we packed the day full, and kept going into the middle of the night. 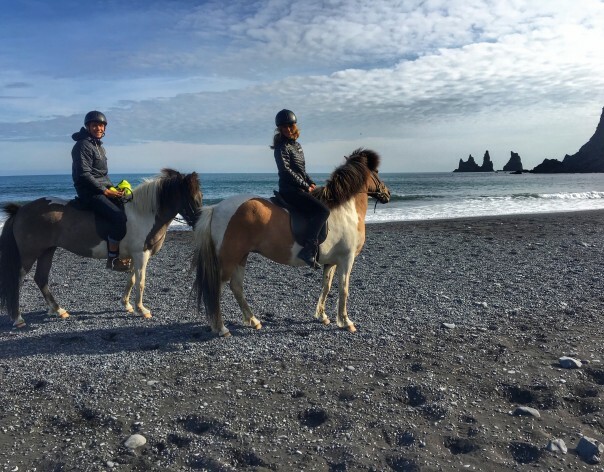 The first highlight of the day was horseback riding on these black sand beaches, this was something that both Taylor and I had said was something that we wanted to make sure we would do while visiting Vik. The Iceland horses are something different. One, they're everywhere, and they're super friendly! Their shape is different too. They seem to be a bit shorter and stalkier, but just like the country itself, the horses are magical creatures too. 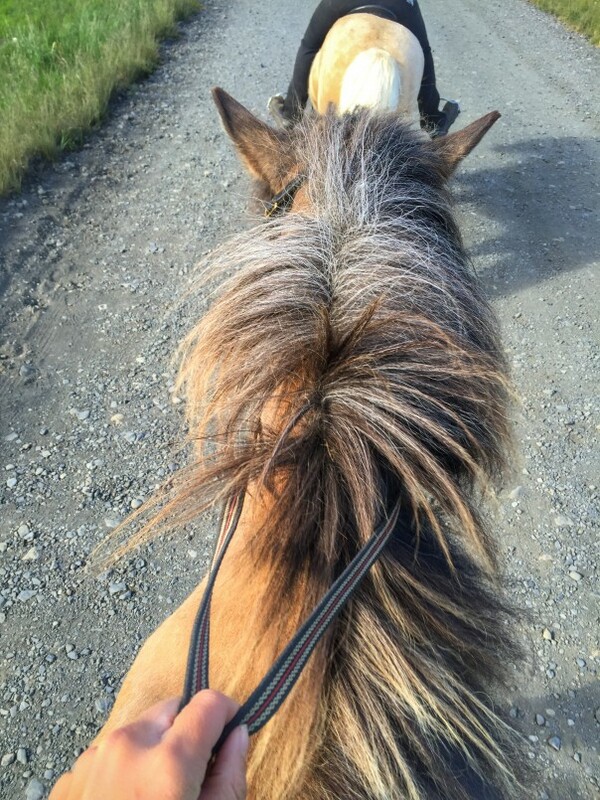 We found Vik Horse Adventures on Travel advisor, emailed them, and set up our ride for the end of the day. It was just Taylor and me and our guide (that spoke little english) for our adventure. 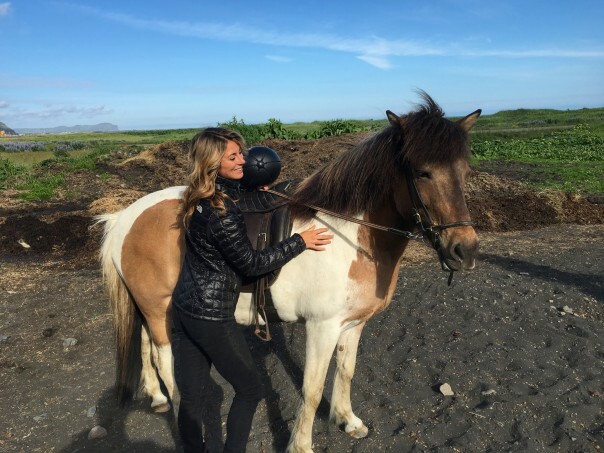 I'll be super honest, I had imagined this long ride down these black sand beaches that would allow for several opportunities for gorgeous photos, maybe a romantic moment or two… I've seen too many movies. ;) Every second of this was worth it, but it played out just a little different than what I had imagined. We spent the ride laughing hysterically as our horses knew that weren't super experienced riders and they took advantage of our naive riding skills by stopping for a snack when they wanted. I think the way this turned out will forever be more memorable than it ever would have been had it played out more like what I had imagined (we leave all that to the movies anyways). We laughed so much. They do have you wear a bright yellow vests that alerts everyone that you're a tourist on a ride, and helmets of course. I'm not really a fan of sticking out like a sore thumb, but Safety First. :) I'm glad that we did ask for a few pictures without our vests on. All in all, it was a super special ride. We went around some pretty trails, through a stream, and on the black sand beach. All the pretty ponies!! The horses in Iceland all seem to be happy, which makes me happy! If you look closely in the picture above, the horse to the left of me (looking at the picture) looks like he's even smiling for the picture. 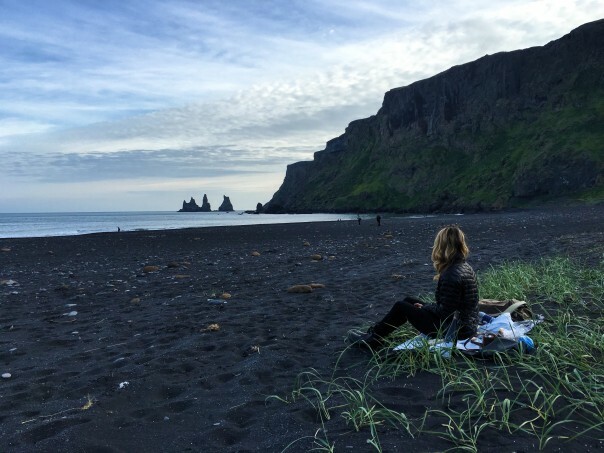 While we were in Vik, it was time to eat, and we had packed a few things with us in the car that would make for a perfect picnic to share right there on the black sand beach, so we could continue to take in the views. So we found a grocery store to grab just a few more items to add to our snack pile. From both of our travels in Europe we've learned that you can't ever go wrong having a bottle of wine and some crackers/bread (gluten free for me) on hand at all times! 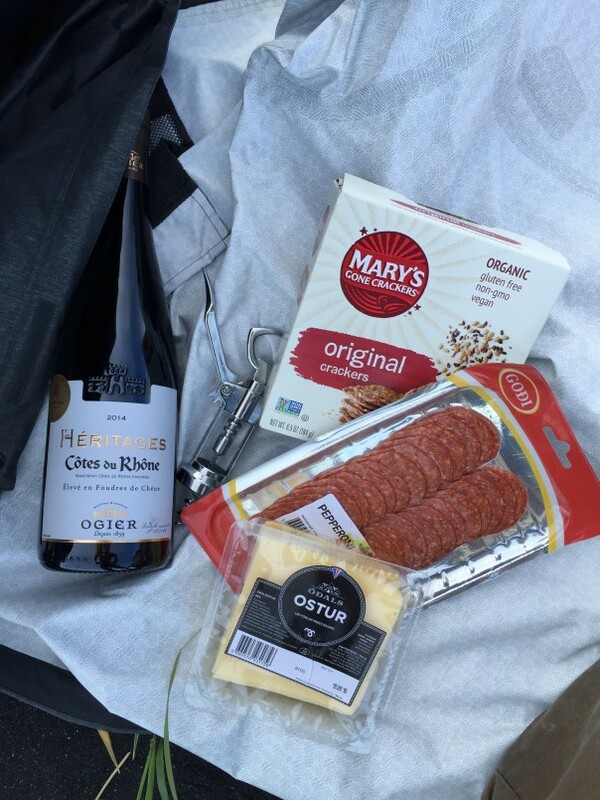 So that morning we had remembered (thankfully) to grab a bottle of wine we had bought at duty free at the Keflavik airport, a wine bottle opener from our cute airbnb, and of course my snack bag (click HERE for my go to gluten free travel snacks) that included gluten free crackers. We picked up some cheese and pepperoni from the grocery store in Vik, along with some water, some chips, icelandic yogurts and other munchies. So our meat and cheese idea was great, BUT the pepperoni had gluten in it. :( So Gluten Free friends, make sure you read the ingredients of the meat in the grocery store so you have the opportunity to grab a gluten free option for yourself. Taylor ate the pepperoni, and I ended up enjoying my crackers, cheese, and wine with a little turkey jerky from my snack stash! 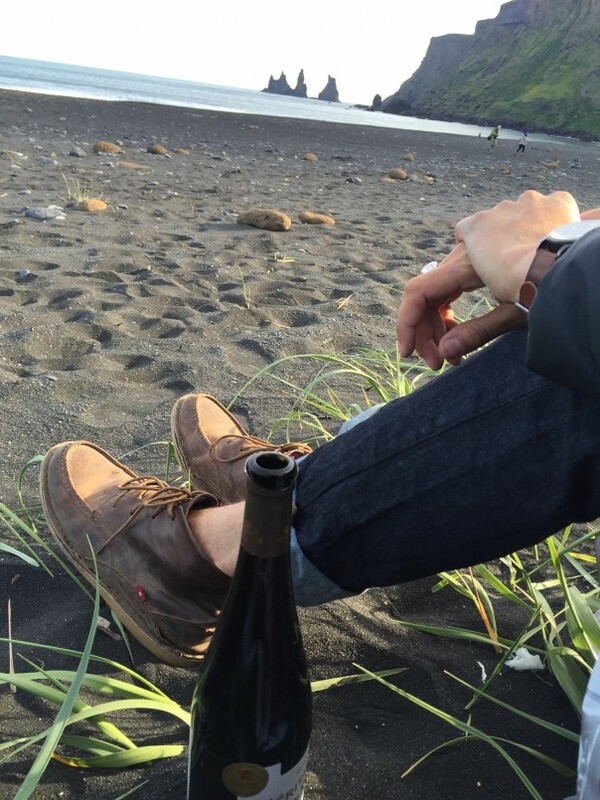 We used our rain jackets we were traveling with to sit on, we drank out of the bottle, and we watched the waves crash along the black sand. It was perfect. Impromptu moments like these are my absolute favorite, to just enjoy the one you're with, take in the beauty of where you're at, and enjoy simple pleasures. So fellow wanderlusters, one thing that was really helpful for Taylor and I was to not have great expectations over meal times, we were both able to be super flexible as long as we were getting enough to eat when we needed to eat. We also would communicate when we wanted to make sure to stop and get a real meal. My go to travel snacks really did save us!! And gluten free travelers, if you've run out of your gluten free snack stash, or forgot to pack some crackers for your travels, not to fear! I found a few gluten free cracker items in the grocery store in Vik! Easy to find! And as long as you can do some dairy, you should be good with all cheeses (minus the blue cheese family) and Icelandic yogurts, for some extra additions to your picnic spread. 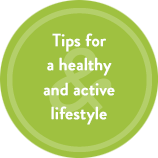 Of course fruits, veggies, hummus, nuts, and an animal protein are great and simple additions too that you will be able to easily find in a local grocery store. 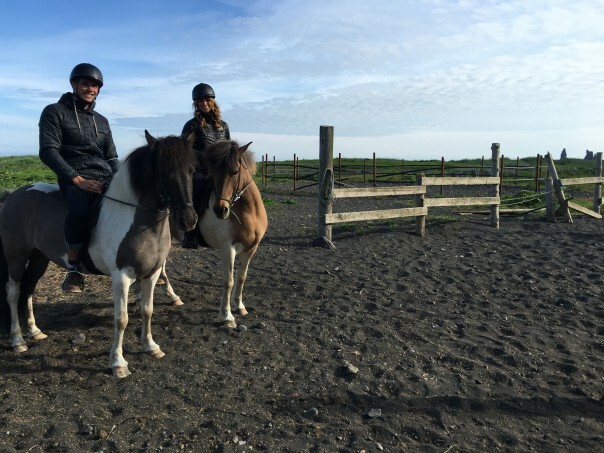 Our gluten free black sand beach picnic and horseback riding adventure was only a sliver of our second day in Iceland, so stay tuned for more! To read about our spectacular day one in Iceland, click HERE! 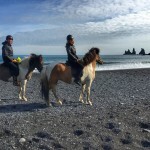 Have any of you experienced Vik and it's beautiful Black Sand Beach, or even gone on this horseback riding adventure? How about your gluten free picnic spread while traveling? What would you make sure you have? I always love reading your comments and hearing your stories, so please leave one below! Day 2 in Iceland to be continued!! These photos reflect God’s light! Tay is special don’t know why but I see it! I’m leaving for Iceland in a few days. Your blog has provided some great ideas. 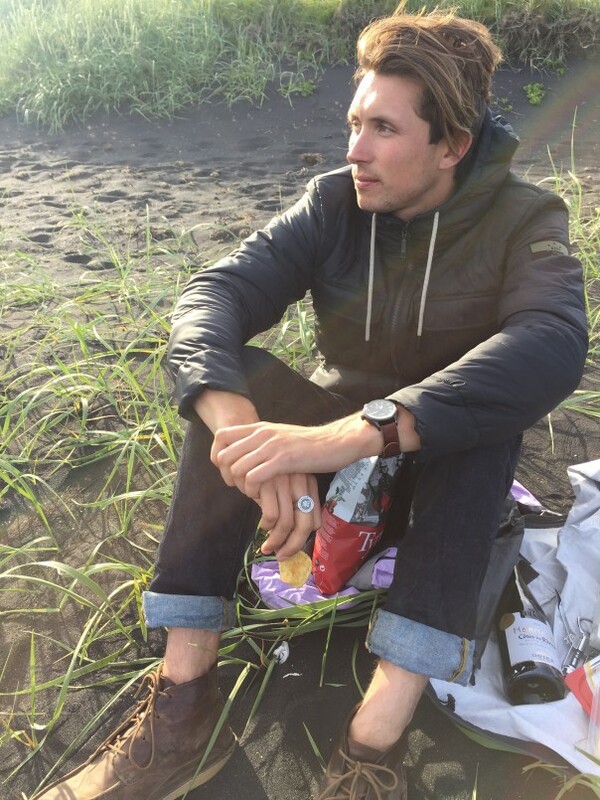 Most blogs I find focus on Reyk. I cannot wait to get to Vik!